million renovation, state media reported on Thursday. 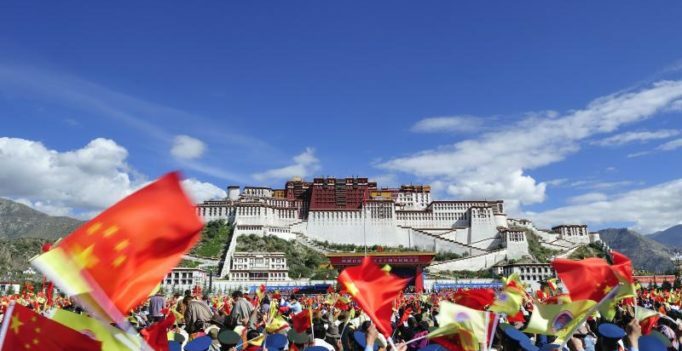 The palace was the centre of religious and political centre of Tibet till the present Dalai Lama Tenzin Gyatso, who is the 14th in the line of Dalai Lamas, fled to India in 1959 after a failed uprising against Chinese rule in his Himalayan homeland. The state-run Xinhua news agency reported that a large-scale renovation project will soon begin as China’s State Administration of Cultural Heritage has approved the plan. The project will focus on repairing the gold-plated roof of the palace and improving its security surveillance system, Jorden, an official from the palace’s administration body was quoted as saying in the report. Parts of the gold plating have been damaged by long-term exposure to wind, sun and rain, Jorden said, adding the renovation will prolong the life of the roof. The project will cost more than 10 million yuan (USD 1.5 million). The Palace has been converted into a museum. It was declared a UNESCO world heritage site in 1994 and is the most famous tourist attraction in Tibet. The construction of the palace took 45 years and was completed in 1694. Built on Mount Potalaka, the palace has 13 stories containing over 1,000 rooms, 10,000 shrines and about two lakh statues. It was built to withstand major earthquakes as the Himalayan region was prone to seismic disturbances. It was reported to have sustained slight damage during the Tibetan resistance against China’s take over of Tibet in 1959. Since then it has become major tourist attraction for foreigners and local Tibetans who visit its numerous temples and rituals within its campus. In 2016, 1.37 million domestic and international tourists visited the palace. Tourists numbers were restricted to 1,600 per day to avoid overcrowding in its narrow rooms and corridors.